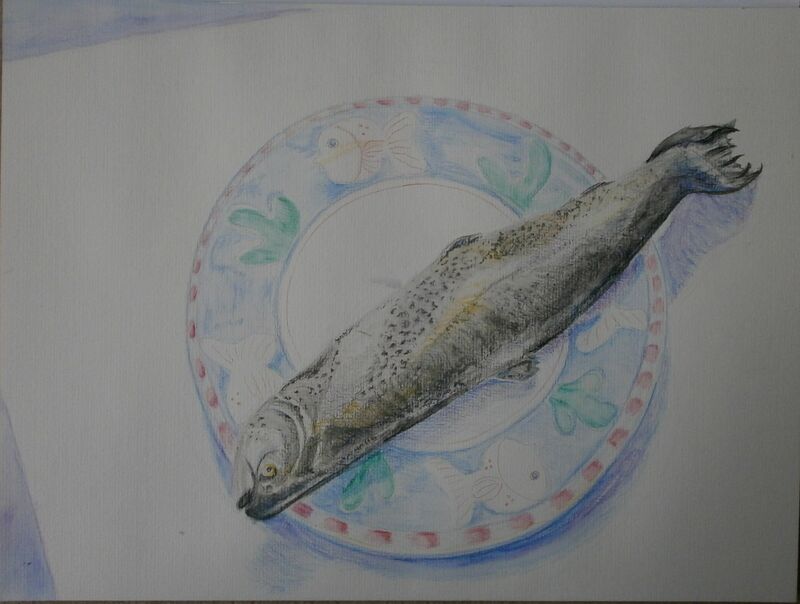 For this exercise, I chose a trout and used a favourite plate with a fish design on its rim. I placed the fish upside down so that I would be forced to focus on shapes rather than draw what I think a fish should look like. The course materials suggested using water-soluble pencils and I did use these. 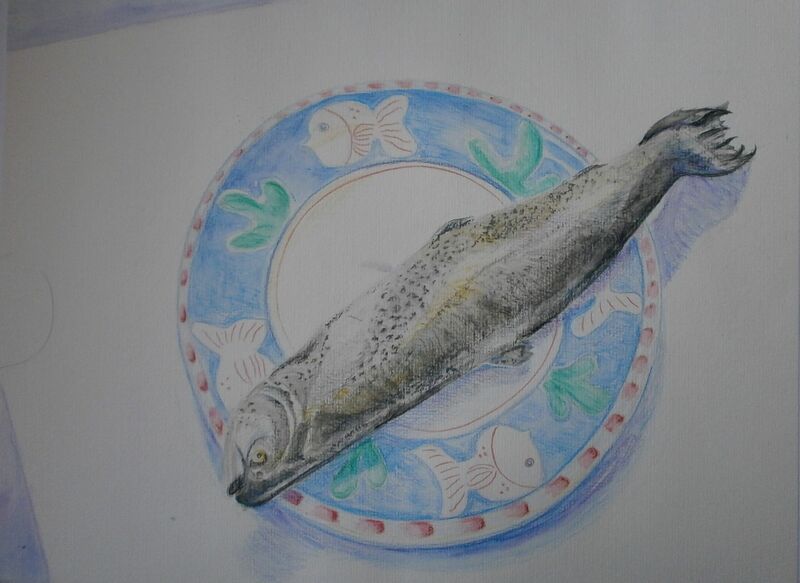 I outlined the design on the plate and then filled in the design in colour before drawing the fish. I am quite pleased with the overall design but the colour of the plate is too insipid (the photo exaggerates this) and I should probably deepen the colour, perhaps with Inktense pencils. The colour of the fish is fairly accurate but the fish appears rather flat. I usually avoid using black but used it here for depth, to try to bring out the backbone of the fish and to enhance the sense of its three-dimensionality. 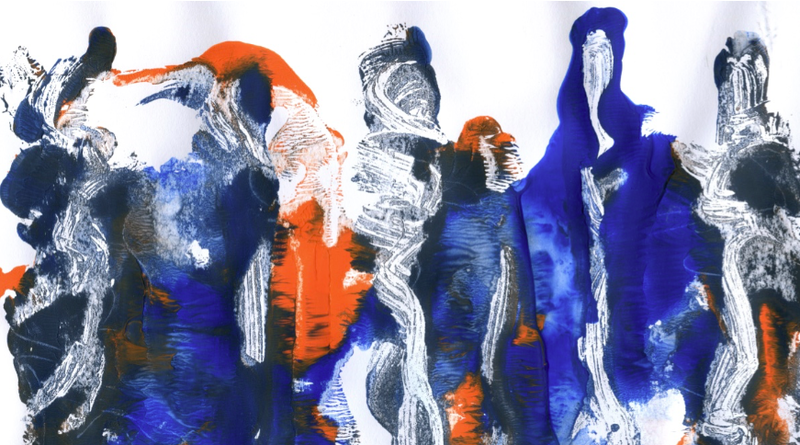 Although I enjoy the freedom and unpredictability of using a wash with water-soluble media, I find that it is easy to make a mess (as with the shadow in the charcoal and crayon drawing of a rabbit, in “Grabbing the chance”), and there are places on the fish, particularly where I aimed for more intense colour, that are bordering on messy rather than the delicate hatching I had intended! Update…. I have reinforced the colour on the plate rim, deepening and brightening it which gives the overall image a little more impact. However, the fish seems paler in this image, which brings home that I definitely need a scanner.